Edited by Jennifer Fletcher, Adela Najarro, and Hetty Yelland, September 2015. 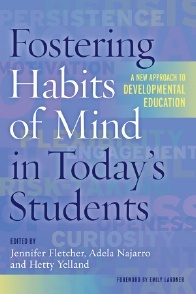 In Fostering Habits of the Mind in Today’s Students, a diverse set of authors provide a wide variety of strategies designed to help developmental education students thrive academically. Saundra Yancy McGuire With Stephanie McGuire, October 2015. 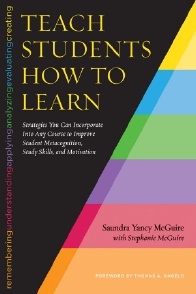 Written in a clear concise manner, this book is a valuable resource for equipping students with the tools they need to be successful in your classroom and into the future. Alicia Fedelina Chávez and Susan Diana Longerbeam, January 2016. 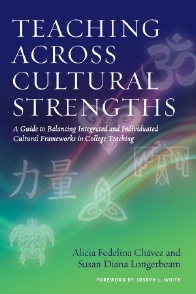 Teaching Across Cultural Strengths provides a valuable and interesting roadmapinstructors can use to transform their classrooms and produce enhanced learning for all students. Are you interested in submitting a book proposal for the NISOD/Stylus co-publication series? Please send all inquiries directly to Sarah Burrows, Stylus Acquisitions Editor.